I wanted to share a quick project Bruno made recently. All of these products are now available for you to order (including the CUTE new embossing folder)! How did he make it? Here are the directions for you! Cut a piece of Grapefruit Grove card stock with a 3mm border all around. Using the brand new Swirls and Curls textured impressions embossing folder, run through the big shot. It looks like wall paper and as we know, Bruno is obsessed with making things look like an wall paper. Stick this down with dimensionals. 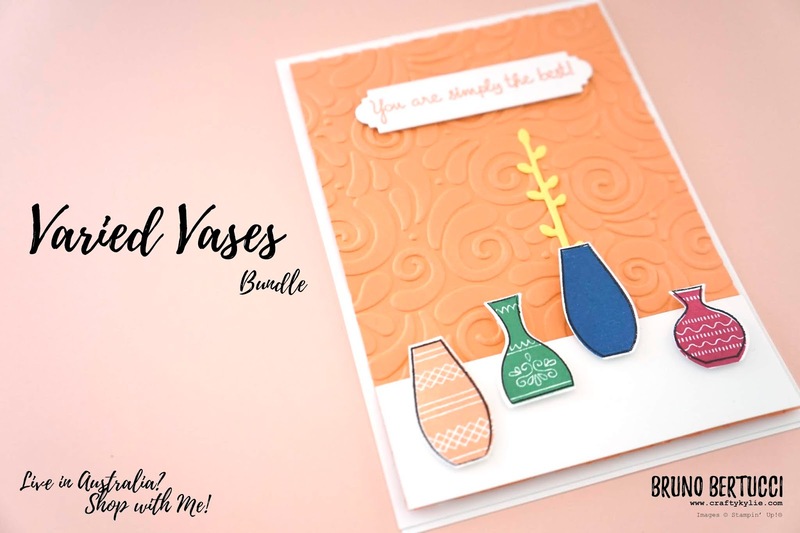 Using whisper white card stock, stamp each of the vases in four of the in-colours (Lovely Lipstick, Blueberry Bushel, Call Me Clover and Grapefruit Grove). Then using black ink, stamped the outline. Using the coordinating punch, cut out each of the vases. Arrange on 'table' and stick down using dimensionals. For the sentiment, stamp using Grapefruit Grove ink. Cut out using framelit from the Petals and More Framelit kit. Stick down using dimensionals. Fianlly, the using Pineapple Punch card stock, run the 'branch' framelit from the Petals and more framelit kit through the big shot. Stick down using fine-tip glue pen (or adhesive sheets). 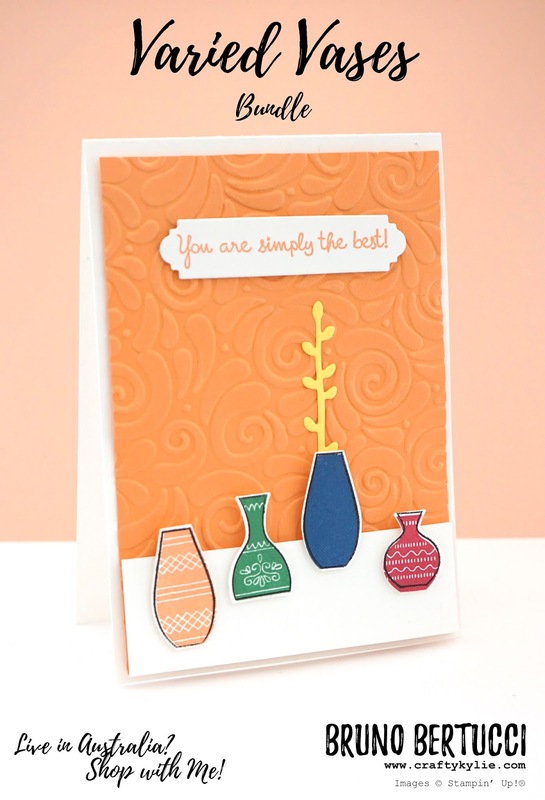 Can you think of all of the different colour variations you can make with this simple layout? I love how the Stampin' Up! products coordinate across and this stamp set and punch bundle is no exception! Do you have it? If not, click on the shopping links below and buy now!